Terroir: Sourced from Bosca’s Don Leoncio and Barrancas vineyards in the Maipu region of Mendoza. Vines average 30 years and sit at an elevation of 780 meters. Soils here are well drained and shallow based with a mix of clay, limestone and silt. Vinification: Grapes are hand harvested and meticulously sorted and destemmed upon arrival at the winery. Fermentation takes place at cool temperatures in stainless steel tanks followed by a brief aging of three months in cask. Crimson color with black hints, and aromas of blackberries, black pepper and mulberries. In the mouth it is persistent, intense and spiced, with young tannins as a result of ageing 3 months in French and American oak casks. Healthy medium red. Aromas of redcurrant and tobacco leaf along with some distinctly vegetal notes. 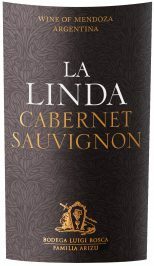 Plush and sweet but with a Cabernet greenness to its currant, tobacco and tomato leaf flavors. Nicely concentrated but easygoing wine and ready to drink. Earthy plum aromas come with a stewy but interesting note of tomato and herbs. This feels solid, although the tannins are rubbery. Berry and cassis flavors are lightly herbal and chocolaty, while this wine is focused and slightly scratchy on the finish. Subtle aromas of blackberries, plums and almonds follow through to a medium to full body, silky tannins and a clean finish. Tight and pretty. Drink now or hold.